Business referrals are a major form of business networking and are also responsible for a large percentage of a company’s overall sales. B to B referrals are an excellent way to build business relationships and are an inexpensive way of marketing a company. A great many small businesses never actually use the business to business referral option. Referrals are a very effective and inexpensive marketing tool. The intent of the business to business referral request letter is to suggest using the referral process that can then lead to referrals to other clients and customers. Business to business referrals are responsible for around 80% of a small company’s client list, and there are incentives available to companies that use this marketing tool. Business to business referral request letters are usually sent to companies who have already had dealings with each other. There will usually be an already established business relationship between the companies and this can now be used in the referral marketing process. The letter should start off with a few lines explaining the business relationship that exists and some thoughts on the benefits of the referral process. One of the major selling points of the letter will be highlighting the benefits that business to business referrals can bring. This can include statistics on referred business sales and the percentage of business clients that come through referrals. The letter should also make mention of the business referrals building a good reputation and an amount of credibility throughout the business community. Business to business referrals are similar to word of mouth referrals and they are a form of advertising through a reputable source. A business to business referral request letter can also include an incentive to catch the reader’s interest. This can take the form of a cash incentive for every sale or client that comes by way of a referral. 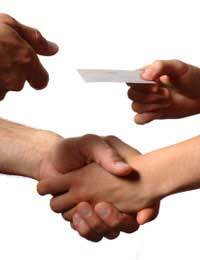 It could simply be a mutual trade of referrals in exchange for business. The point of the referral process is to build a relationship that will be mutually beneficial to both parties through this form of marketing. Ultimately, to use the business relationship to bring in more sales, clients, and customers. Additional material supporting the use of business to business referrals can be included with the request letter. This material can detail how the referrals will be used to help generate sales leads through direct mail. The letter writer could have already written a detailed marketing plan with ideas for the referrals including placing referrals on company websites. The referrals may also be used to bolster a company’s reputation and enhance corporate identity through association with another reliable company. Further to our telephone conversation on (date) I would like to thank you for taking the time to read over my business to business referral proposal. I believe our companies have enjoyed a long and beneficial business relationship and that utilising the business to business referral process will bring further business opportunities. Business to business referrals are an extremely effective way to generate sales leads and obtain new clients and customers. This is a business solution that many small businesses overlook, much to their detriment. I have also detailed in the business plan a mutual 10% cash incentive whenever a sale that has come via a referral is made. There are alternatives outlined that could take the place of the cash incentive. The actual referral process is quite simple and will not take much effort to implement. If after reading the full business plan you feel this is something that could enhance your business then please do not hesitate to get in touch. Hum! useful tips. thanks for that..